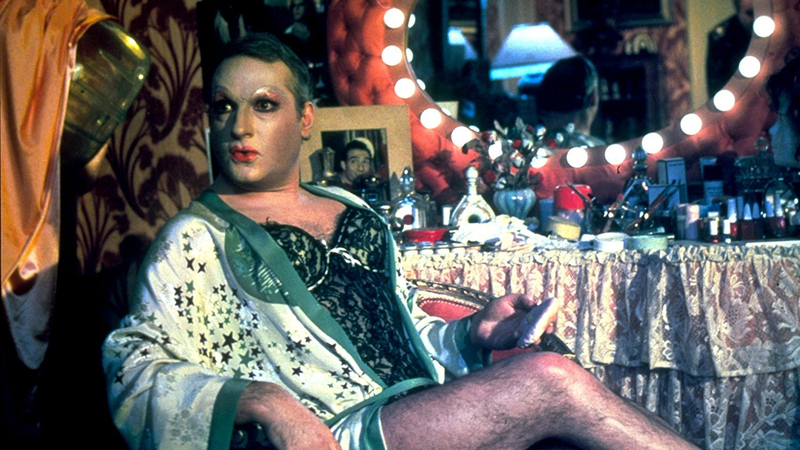 Renato (Ugo Tognazzi) and Albin (Michel Serrault) live a glamorous, if tempestuous life as the owner and star of eponymous drag nightclub ‘La Cage Aux Folles’. Later remade as The Bird Cage, this first adaptation of Jean Poiret’s play is as moving as it is hilarious in its depiction of moral hypocrisy and familial love. Director Édouard Molinaro was widely known as a comedy director, and in La Cage Aux Folles, he made one for the ages. Despite his reputation, Molinaro never considered himself a comedy director, and it’s perhaps this that helped him to bring such humanity to Poiret’s farce. There is always a risk in adapting theatre for the screen that the result feels ‘stagey’. Yet in toning down his leads’ theatrics Molinaro crafts a true comic gem for the screen, assisted in no small part by cinematographer Armando Nanuzzi, whose vibrant colour palette and soft tones set the visuals apart from the era’s more conventional French comedies. The set up is pure farce: Rinato’s son Laurent (Rémi Laurent) arrives at home with the surprise news that he is getting married, much to Rinato’s consternation. Worse, his fiancée Andrea’s (Luisa Maneri) father is a senior member of a right-wing political party. So Laurent, his father and Albin – effectively Laurent’s mother – reluctantly devise a scheme to fool Luisa’s parents that Rinato is a conservative diplomat and Albin his brother. What could possibly go wrong? The opening sequence, where Albin – in full drag – throws an almighty tantrum while Rinato exasperatedly tries to get him on stage for the evening’s performance, sets up their relationship as one of exasperated tolerance. But the morning after – with Albin collecting a cake for Laurent ‘from his Aunty’ – paints a different picture, one of a family as harmonious and loving as any. Albin’s theatrical antics gradually develop into a tender, three-dimensional portrait of a relationship that we laugh with rather than at. A key scene in a cafe, where Rinato tries to show Albin how to hold toast ‘like a man’ and walk like John Wayne – aided, aptly, by Ennio Morricone’s score – is both hilarious and tragic in its depiction of conventional masculinity as being just as preposterous as any of Albin’s histrionics. His love for Laurent is never more apparent than when he dons a suit for the film’s climactic dinner, an impeccable black number finished with a splash of pink in the socks. The suit – as much a costume as his stage garb – brings home the cost of self-sacrifice for those who don’t fit society’s arbitrary moral strictures. One might expect that the subsequent disaster at dinner would overshadow the earlier moment of tenderness. Instead, its dignity is amplified by the unapologetic outrageousness of Albin in full drag.